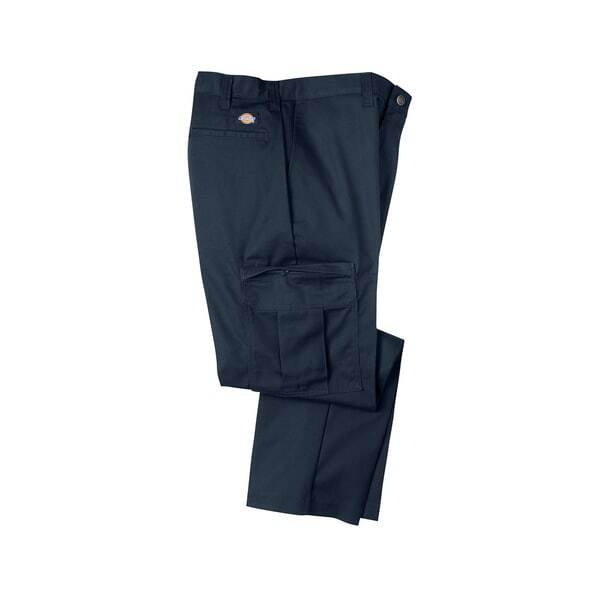 Experience the fashion-forward look of this Men's Dark Navy Premium Industrial Cargo Pant. It features 65-Percent polyester 35-Percent cotton twill, metal buttons doubled front pocket fabric reinforced belt loops ez-touch softened fabric, relaxed fit, stain-release, cargo pockets accessed via concealed zipper closures, multi-use pocket inside left cargo and outside right cargo. Received these pants very quick love this about Overstock. Great quality work pants. I definitely recommend. Wish it was available in other colors in my size. Husband loved them! Liked all the pockets and fit well. Nice fit on top of feeling and looking great. Color is good, but the pocket could be deeper. Stuff falls out. Husband liked them and wears them. A gift that was requested.